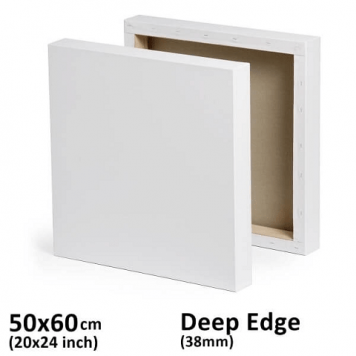 With this deep edge stretched canvas, artists can offer vibrant projection of art. Certified from fine art guild. Triple gesso primed for acrylic. Compatible with acrylic, oil and watercolors. Stapled from behind so that artists can draw art fully on the front side.